Hello fair folk of fiction fancy, and welcome back to our humble lair of lore. Last week, we began our celebration of the upcoming Memories of Reach content release by digging into some of the deeper lore surrounding the hallowed Halsey’s Journal, as well as pull the icy curtain back on the fictional context for the upcoming Arena multiplayer map, Stasis. This week, we’re going to explore a bit into how a familiar Noble narrative is weaving its influence into your Halo 5: Guardians experience very soon. 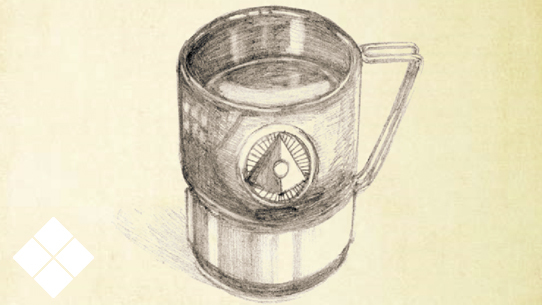 And for the particularly ravenous Fodder folk, we might just have a little something… extra. Read on! As research and development on the Mjolnir powered assault armor continued to evolve, many of the suits employed before and during the fall of Reach saw continual refinement and upgrades as a part of the Ordnance Committee’s commitment to rapid spiral development. After the development and rollout of the first GEN2 Mjolnir weapon systems, battle-proven Mk. IV and Mk. V variants were eventually earmarked for reassessment at the request of veteran Spartan II and Spartan III operatives. Now, with the Memories of Reach content update you can wear the latest, most hyper-lethal powered armor ever developed by mankind and pay homage to some of humanity’s greatest heroes, who stood firm in the face of impossible adversity. The following variants represent not only the best of humanity’s unassailable strength and resolve, but also some of the most capable and iconic suits ever worn by Spartans. Armor: Created to save lives and not to take them, the INDOMITABLE is an engineering and explosives ordnance disposal Mjolnir variant. Its combat effectiveness is simply fortuitous. Helmet: The INDOMINATABLE helmet is a rare sight on the battlefield, and is usually a sign the UNSC has authorized weapons of mass destruction. Armor: Formally an upgrade of existing Mark V EVA suits, the WRATH project was actually cover to develop a new Mjolnir variant specifically tailored to the needs of future Headhunter teams. Helmet: The Spartan branch contract for WRATH helmets was extremely precise and prescriptive regarding the pattern and method of reproduction for the death's head engraving. Armor: INTRUDER armor was commissioned by Spartan branch as part of a research initiative seeking to leverage synergistic outcomes between specialized Mjolnir suits. Helmet: The INTRUDER helmet features a full-featured Command Network Module and multi-channel drone controller. The drone controller interfaces directly with Unified Ground Command (UNICOM) kill box management and aerospace deconfliction systems. 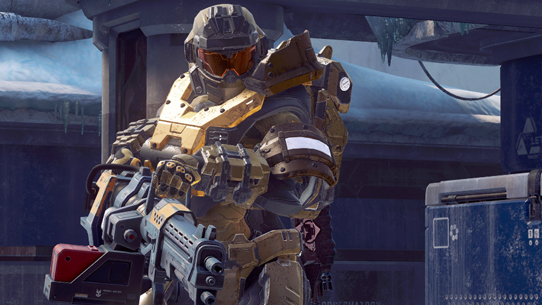 Armor: The VIGILANT was originally a one-off upgrade for an unnamed VIP within Spartan branch. Not intended for production, interest in the suit's feature set among Spartan scout-snipers has led to several being assembled for full evaluation. Helmet: The full extent of the VIGILANT's surveillance and stealth capabilities remain highly classified. Observers have speculated the suit includes a new reconnaissance and fire control system for directing orbital artillery strikes. 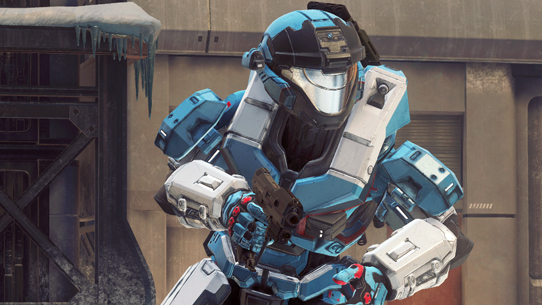 As Noble Five, Spartan-II Jorge-052 served in numerous military campaigns, providing invaluable support for the team from his seasoned combat history, ultimately culminating in a return to his home planet of Reach. On August 14, 2552, Jorge-052 died in defense of his homeworld, manually triggering a slipspace event near the Covenant supercarrier Long Night of Solace in an effort to stem the enemy’s implacable naval strength. 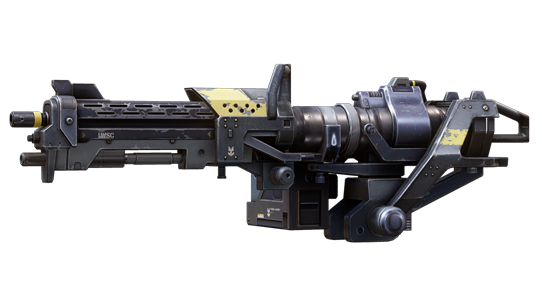 Modeled after “Etilka” – Jorge’s modified personal M247H Heavy Machine Gun, this Mythic Chaingun is equipped with a high-capacity magazine loaded with high-explosive ammunition. Spartans wielding this incredible powerhouse within the War Games simulations also gain boosts to movement speed and damage resistance. 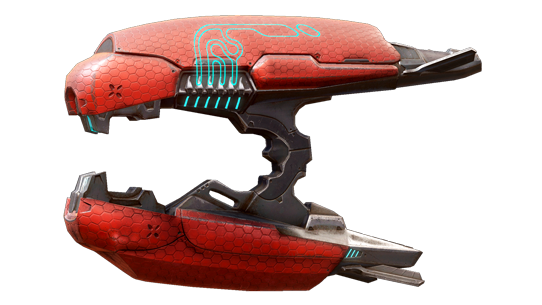 Known as the “blood-hand” by the Jiralhanae, this particular Plasma Rifle variant was originally manufactured at the Sacred Promissory assembly forges in preparation for the High Prophet of Truth’s takeover of the Covenant. Under its crimson plating, the artisan-engineers in Truth’s employ were allowed to make modifications to the rifle’s sacred design pattern specifically tailored to the aggressive nature of the Jiralhanae. These changes - which increased the weapon’s rate of fire and damage - would have been deemed heretical without a hierarch’s direct blessing – a blessing the unscrupulous San’Shyuum was more than happy to offer. Even in the aftermath of the collapse of the Covenant empire, newly manufactured Brute Plasma Rifles continue to appear in the hands of mercenaries and raiders, though their source is unknown. All Brute Plasma Rifles are capable of unleashing a devastating fusillade of plasma bolts between emergency cooling breaks. Before we close, wanted to shout out to some awesome members of the 405th who came out strong for last weekend’s Pacific Coast Championships hosted by Pro Battle League. Among the 26th century cosplayers were Rubyyyyyy, Roxas1337, weepun, SnipeJAG94, Siren 227, RenrakuX, L05T V1K1N6, and avid Fodder-fan Kinkyopoka. 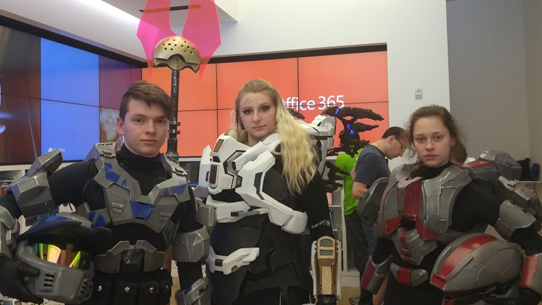 Their combined efforts created a fantastic presence that was felt not only at the tournament itself – which was shoutcasted by DJBlue PDX and 343’s own GH057ayame – but all throughout Seattle’s University Village. It was a pleasure to see them representing our beloved universe well, and to meet the heroes behind the helmets. 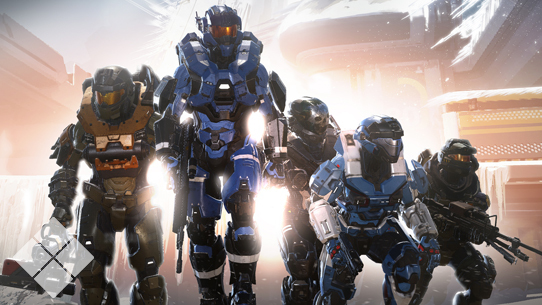 Be sure to add these stalwart Spartans to your Xbox Live Friends List and thank them for their service! Until next time… Live well, play Halo, and time to bake that cake we made last night! NEW UNIVERSE ARTICLES THIS WEEK! 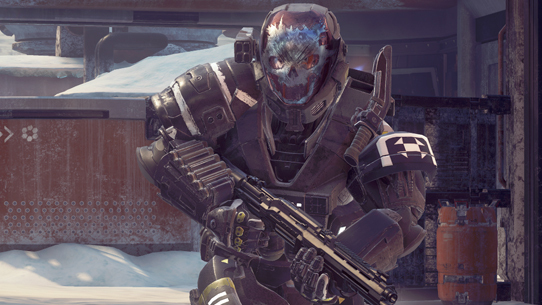 Emile-A239 was a Spartan-III super-soldier serving with Noble Team. He was killed in action during the closing days of the fall of Reach. 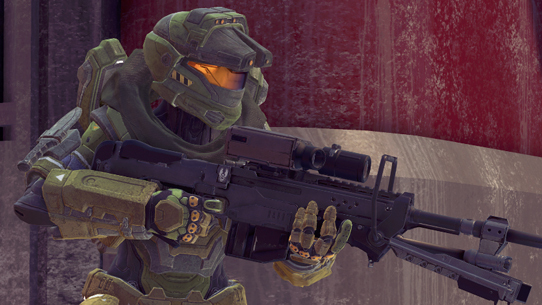 Jorge-052 was part of the SPARTAN-II project and eventually served as the heavy weapons specialist on Noble Team. 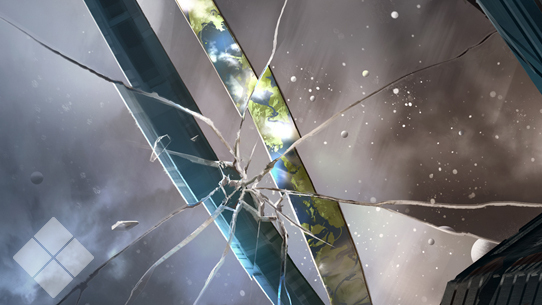 This week in Canon Fodder, we're excited to announce Halo: Fractures! 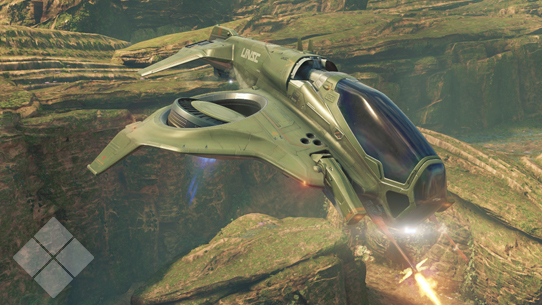 This week in Canon Fodder, we take a look at the UNSC Wasp, the Grunt Goblin, and other Warzone Firefight fiction.